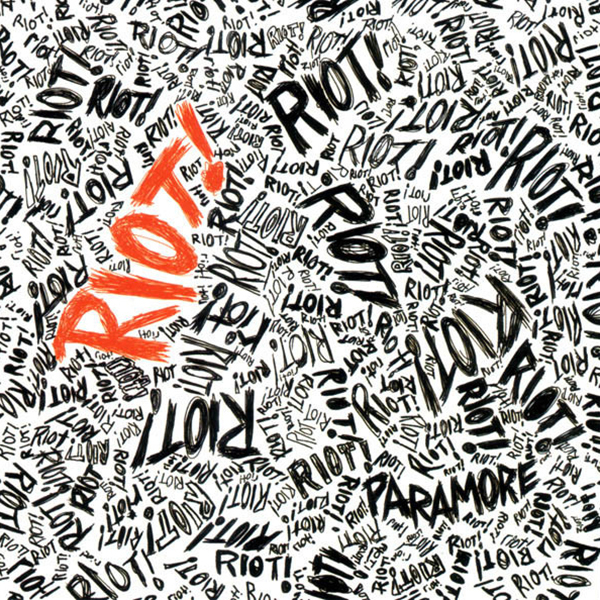 Riot! is the second studio album by the American rock band Paramore. It was originally released in the United States on June 12, 2007 through Fueled by Ramen as a follow-up to their debut album, All We Know Is Falling (2005). The album was produced by David Bendeth and written by band members Hayley Williams and Josh Farro, with Bendeth, and fellow members Zac Farro and Taylor York co-writing on select tracks. The album is said to explore a "diverse range of styles," while not straying far from the "signature sound" of their debut album, with several critics comparing it to likes of Kelly Clarkson and Avril Lavigne. The cover of the album also resembles the cover artwork of No Doubt's Rock Steady. Riot! received generally positive reviews from music critics, who praised its sound, and noted its "crossover potential". The album was successful in the United States, reaching number fifteen on the Billboard 200 and being certified platinum by the Recording Industry Association of America (RIAA) on July 11, 2008. It was also certified platinum in the United Kingdom by the British Phonographic Industry, and gold in Australia, New Zealand, and Canada. The lead single, "Misery Business", reached top-thirty and forty positions in the US and is considered the band's "breakthrough" hit; credited with introducing the band to a mainstream audience. The third and fourth singles, "crushcrushcrush", and "That's What You Get", were also successful with both achieving a gold certification by the RIAA.